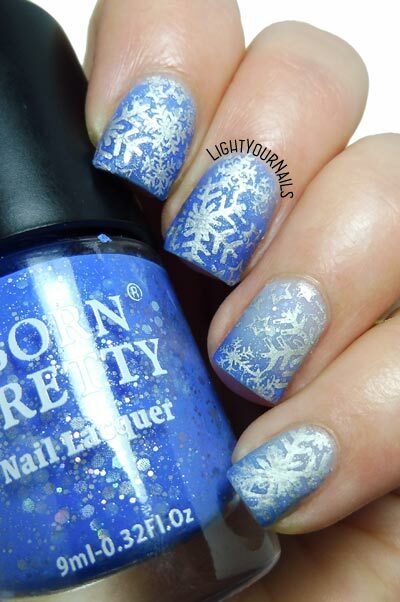 Snowflakes nails | Light Your Nails! This week I am sharing with you yet another wintery/Christmassy manicure. 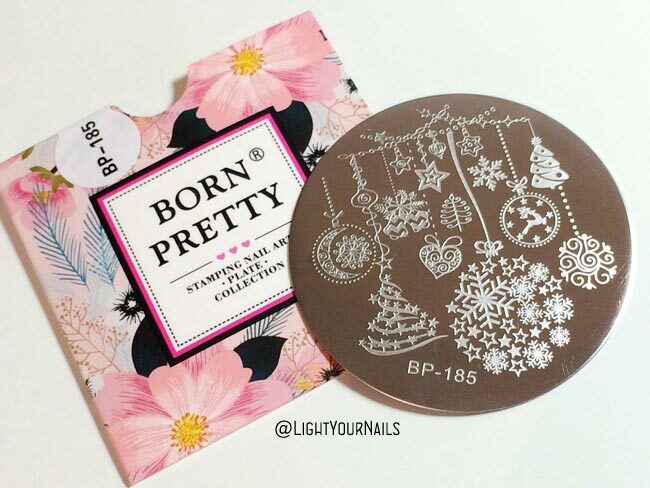 My base polish is Bornpretty Thermal Nail Polish G001 Swan Lake, stamped in silver (Essie No Place Like Chrome) with BP-185 stamping plate* also by Bornprettystore. I love how the silvery snowflakes almost disappear when the base colour changes. Such a shame it’s so cold here it rarely does. I hope you liked this new nail art, I’m already thinking about the next one! This is beautiful! Almost looks like your nails are frozen :D Great color choices!